Even travel professionals can be misled by pretty pictures and glowing reviews on hotel booking sites. Moving rooms–or even hotels as I did on a recent trip to San Luis Obispo–can be costly and stressful. Fortunately, there are a few steps you can take to make sure that what you get is at least as good as what you expected. Online travel planning is a growing trend. Kayak.com, the undisputed king of metasearch engines, projects 1.9 Billion travels queries in 2014, up 25% from the previous year. For the most part, these trips turn out all right, but when they don’t, it’s a nightmare. According to a satisfied customer on TripAdvisor.com, the motel I selected in Oceano, CA was “warm, clean, friendly” and “conveniently located, not too far from the beach and coastal scenic route.” Professional photos showed a cheery yellow 2-story building and spacious rooms with granite-counter bathrooms. When I pulled into the parking lot, it was after 9pm and the beach town appeared deserted—the only proof of life a glowing neon sign announcing the liquor store next door. I didn’t see reception at first, just a Plexiglas drive-thru window of the sort usually found at a Burger King. As I walked toward it, an older Indian gentleman peered out a glass door to beckon me into a 8’x6’ office that reeked of his bare feet. Instead of “warm, clean, and friendly,” this motel was dark, creepy, and smelly. At this point, I was looking for any excuse to get out of my reservation. So when he asked for my credit card, I remembered that this was one of Booking.com’s pay later options, and hightailed it out of there. Thanks to the Expedia app, I found another room immediately. What could I have done to avoid being homeless that night? 1.) Start with recommendations. Ask a friend, the visitor’s bureau, or your favorite travel blogger for the best options. 2.) Check TripAdvisor.com listings. Knowing the top-ranked luxury or boutique lodging (or whatever category appeals to you) gives you a point of reference for comparing what is available. 3.) Compare search engines. I usually use the TripAdvisor.com, Expedia.com, and Hotwire.com trifecta. One gives hotel rankings and reviews, the second shows availability, while the third lists the cheapest options. But I’m always playing around with new options (see my list of best hotel booking sites.) A promising new contender, SmartDepart, allows you to compare hotels based not just on price and reviews, but also on quality of life items like nearby businesses and available services. Keep in mind that you may find the same information on multiple sites. At this time, Expedia owns Hotwire, but in this world of incestuously proliferating travel websites, who knows who owns what at any given time. 4.) Realize that star ratings are subjective. I’ve often used Hotwire.com to book rooms of a certain star-rating value when I wasn’t particular about the specific hotel. That usually works out fine, except that I’ve learned to ask for higher-rated digs. Their 4-star hotel sometimes turns out to be what I (and other travel websites) would rate 3 stars. 5.) Take reviews with a grain of salt. Given the prevalence of fake reviews and the likelihood that the same reviews will appear on multiple search engines, don’t believe everything you read. Generally, assume that a hotel won’t be as bad or as awesome as they say. 6.) Know your limits. If you know you won’t be happy without turndown service, don’t settle for anything less than a 5-star hotel. But if you do reserve a 2-star motel, don’t complain when there’s no complimentary water bottle. 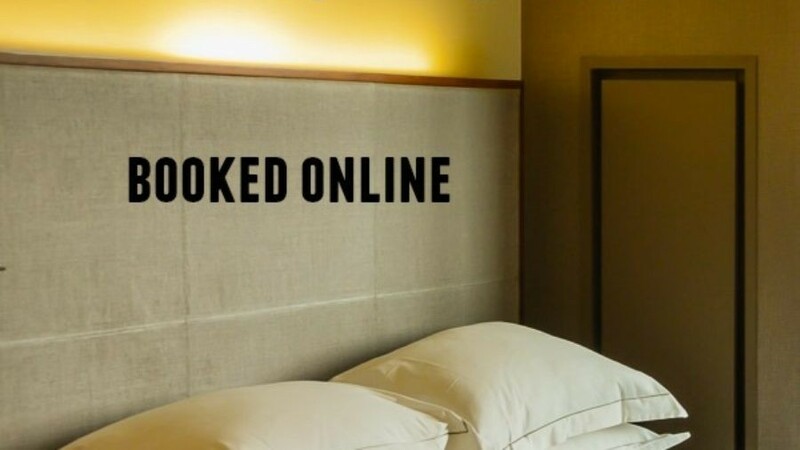 Have you ever booked a hotel that looked great online, only to discover a dump upon arrival? What did you do? I’m going on a last minute trip, so these tips will help me find a hotel room before I need to leave for my flight. Your tip to compare search engines will help me find the best ratings for a better room. That will help me find a room that’s not only affordable, but comfortable to sleep in. Thanks for the tips! I have never been good at finding hotels, because it is hard to tell how a place really is just by looking online. I found these tips very helpful, especially number 3 about comparing search engines. I hadn’t really thought of that yet, but ultimately the best way to gain information is to go to several sources and witnesses. It makes a lot of sense, so thanks for sharing!